Argan Oil is an amazing multi-purpose beauty oil from Morocco. It was once a secret of the Berber tribes, but now it has been catapulted into the spotlight as one of today’s must have hair and skin treatments. 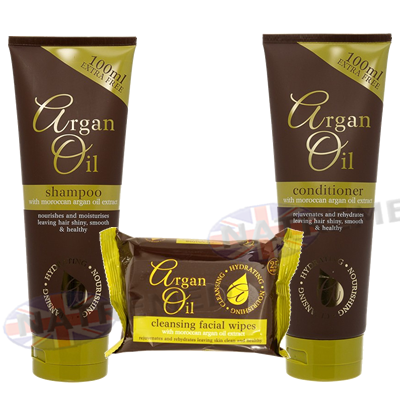 Argan Oil shampoo has been formulated using a unique blend of ingredients specially developed to help condition and revive hair for soft, shiny results. 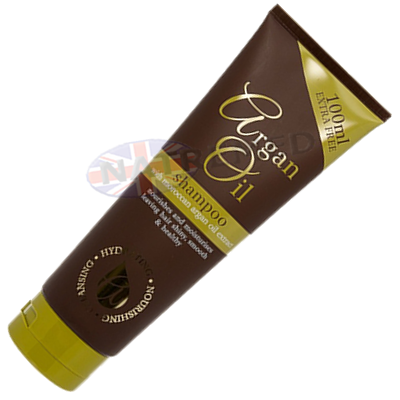 Suitable for all hair types, this shampoo will help protect and moisturize your hair. Apply a small amount of shampoo to wet hair. Rinse thoroughly and repeat process if required. 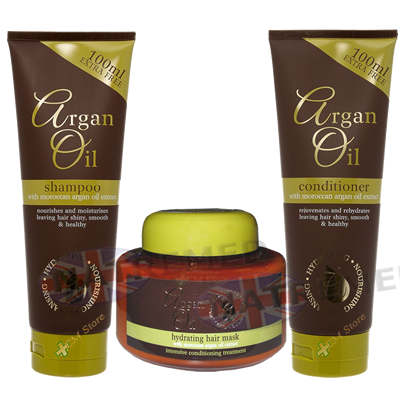 Argan Oil conditioner has been specially formulated to provide intense conditioning to rejuvenate and re-hydrate all hair types. The special conditioning agents used in this formula will help moisturise and impart softness for healthy, manageable results. Apply conditioner to damp hair and gently massage into hair. Leave on for 3-5 minutes then rinse well with clean water. 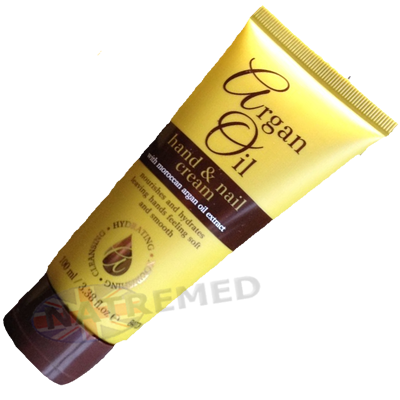 Moroccan Argan Oil is rich in Vitamin A and E, essential Fatty Acids and Proteins. 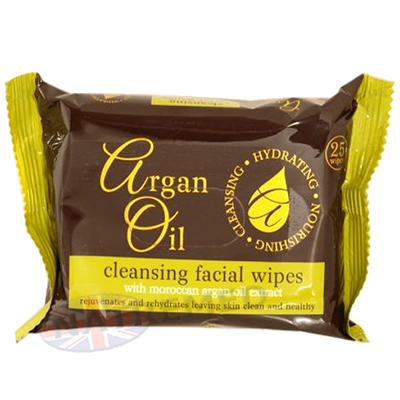 These Argan Oil Wipes have been specially formulated to help cleanse and refresh your skin by removing excess dirt, make-up and other skin impurities helping to promote a clearer complexion. Lift the seal and using one wipe at a time, cleanse your face using gentle circular motions. There is no need to dry the skin. Take care to reseal the pack to prevent the wipes from drying out. Repairs and rejuvenates hair, leaving it shiny, smooth and healthy. 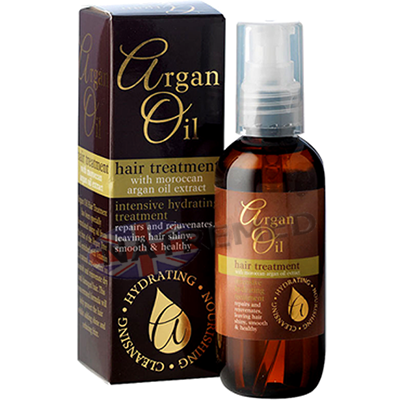 This hair treatment is formulated using the purest oil extracted from the fruit of the Argan Tree. Enriched with Vitamin E, a natural anti-oxidant to rejuvenate, nourish and protect damaged hair. The smallest amount of this concentrated formula goes a long way. The bottle comes with an easy pump that dispenses oil in small pea size doses, 1 pump for short hair up to 4 for very long hair. Argan Oil is often referred to as ‘liquid gold’ or ‘magic oil’ by beauticians because of its incredible ability to instantly eliminate split ends and frizz. The Hair Mask is enriched with proteins and Keratin and infused with Argan Oil which is derived from the Moroccan Argan Tree. Its moisturising properties help to revive and nourish dry and damaged hair. 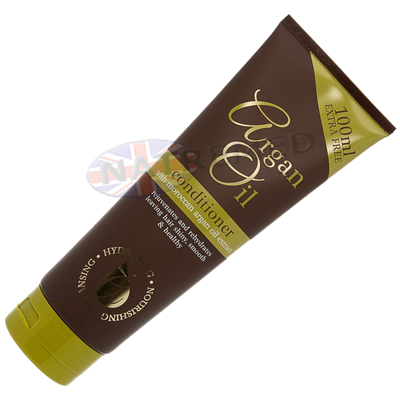 Argan Oil Hair Mask is an intensive treatment that helps rebuild strength and restore elasticity. Argan Oil Hair Mask is specially formulated to help improve texture and manageability, leaving hair looking healthy and shiny and can be used on all hair types. After shampooing, towel dry hair then apply Argan Oil Hair Mask from root to tip. Leave in for 7 - 10 minutes then rinse out. 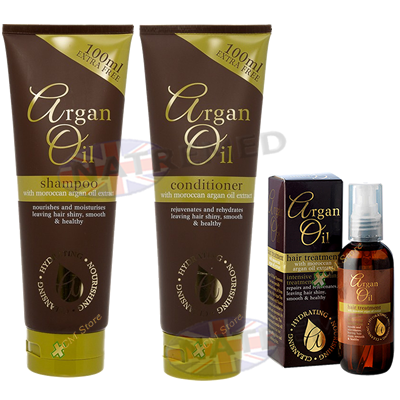 For maximum conditioning, follow with Argan Oil Conditioner.